September 14, 2016, Keelung, Taiwan - Lian-Li Industrial Co. Ltd is thrilled to announce the PC-O5SW, PC-O7SW and PC-O8WBW: stunning white colors for stunning chassis. 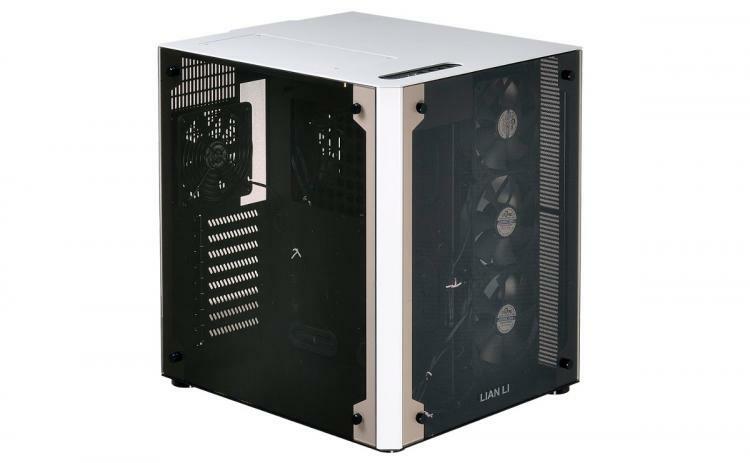 Lian Li’s O-series cases are emblematic of its dedication to premium materials and exceptional engineering. After a rough winter worldwide last year, Lian Li chose a new snowy white theme in hopes of an auspicious, less extreme winter season in 2016. The O-series is a perfect chassis for displaying high-end hardware. Both the PC-O5SW and PC-O7SW feature a full tempered glass panel for an unfettered view of gleaming builds. VGA cards are mounted vertically, parallel to the motherboard, using an included riser cable. Both chassis have four expansion slots and support SLI and Crossfire setups. They can be mounted directly on walls, placed on a desk with a vertical stand, or laid horizontally on four removable rubber feet. The PC-O5SW and PC-O7SW can mount three 3.5” and a single 2.5” drive in the included drive cage, while the PC-O8WBW can squeeze six 3.5” and two 2.5” drives. Users can opt to hide 2.5” and 3.5” drives behind or directly on the motherboard tray. Each case can mount a total of eight drives. Like the other “S” suffixed O-series models, water cooling enthusiasts can mount 300mm radiators in the mini-ITX PC-O5SW, while the full ATX PC-O7SW can accommodate 400mm radiators. The PC-O8WBW fits up to two 360mm radiators. Find detailed specifications for the PC-O5SW here, the PC-O7SW here and PC-O8WBW here.